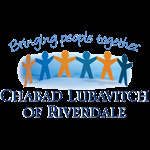 About Us Our Staff Snow News Pictures Chabad of Riverdale's Early Learning Center Graduation! Untitled CELC Students Prepare for a New Year! CELC Prepares for Yom Kippur! Shake That Lulav! Fun Week at CELC! Exciting & Interactive Week at CELC! Fall Fun Thanksgiving Early Learning Center Fun! Photo Gallery - 2013 CGI 2015 - Week 5 End-of-Camp Performance CGI 2015 Week 3 - Minis CGI 2015 Week 3 - Juniors CGI 2015 Week 4 Camp Gan Israel: First Day! Art Trip to the Zoo! Mini Gan Fun! Bat Mitzvah Club! Bat Mitzvah - Pottery! Kinneret Bat Mitzvah Club! Bar Mitzvah Club Registration Bar Mitzvah Boy! Release Time Celebrate Sukkot @ Chabad Release Time! Release Time End-of-Year Party Release Time Release Time! Release Time! LEARNING & LAUGHTER @ RELEASE TIME! Reservations About Us Raffle Honorees Committees Contact Us Photos Our 25th Annual Celebration! First Class - How Happiness Thinks! Journey of the Soul! First Week of Soul Sunday Classes! Purim Schedule Purim at the Theater Purimania 2016! Passover Mega Site Shemurah Matzah Schedule of Services Meal of Moshiach Passover Passover A-Z CELC Model Matzah Bakery & Aleph Champ! Pesach Comes Alive With Matzah Bakery! Sukkah Mobile Release Time Sukkah PARTY! Shake That Lulav! Sukkot 5778 Release Time Celebrate Sukkot! Join over 3,000 Chabad-Lubavitch women emissaries and their guests as they celebrate at the annual banquet, the culmination of a five-day International Conference of Women Emissaries.